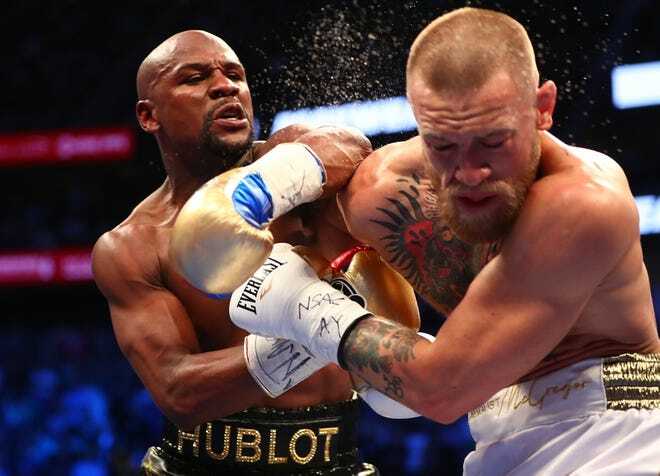 Floyd Mayweather's bodyguard has been in the middle of gunfights, had guns and knives pulled on him, and, of course, muscled more than a few tough guys wanting to throw blows. Getting ambushed in a van was something Greg La Rosa never saw coming. And yet, less than one month after an unknown assailant riddled the Mercedes-Benz Sprinter van he rode in with more than a half dozen bullets, hitting him once in the leg, he chalked up the whole experience to a lucky break. “To be honest, I'm not really worried about who it was,” La Rosa told MMAjunkie Radio. “I just hope it's done and people just find love in their hearts and don't need to result to this kind of stuff. Punch me in my eye if there's something; don't shoot at me.” La Rosa said he was part of a three-vehicle motorcade escorting Mayweather back to an Atlanta hotel after an appearance at Medusa nightclub. He remembers no confrontations or hostility from those in attendance and said the whole night went smoothly. It was around 3 a.m. on April 9 when his van departed from the nightclub carrying eight “Money Team” employees. They had just turned left into a valet area for their hotel went everything went haywire.